Before heading to happy hour with coworkers, you might wonder what you should drink. While having cocktails with people from the office provides a fun opportunity for casual socialization, you don’t want to risk coming across as unprofessional. Here are some drinks to order and avoid at your next work happy hour event. It’s hard to go wrong with mixed drinks, such as rum and coke or a gin and tonic. Take any of these cocktails a step up by requesting top shelf liquor instead of well brands. Ordering simple mixed drinks will send the message to your coworkers that you are laid-back and approachable. Resist the urge to order doubles so that you don’t become inebriated. 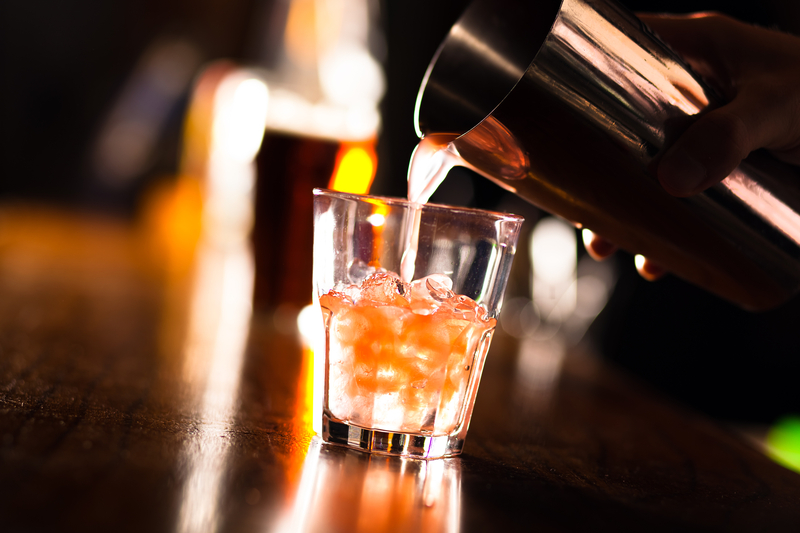 Switch to amaretto sours, which have a low ABV, if you’re worried about getting tipsy. While you’re around your coworkers, you might want to project an air of sophistication by ordering a manhattan, cosmopolitan, or Moscow mule, which feature intriguing combinations of liquors, juices, fruits, and spritzers. Old-school cocktails, such as Tom Collins, gimlets, and martinis, have complex flavors but are understated. Ordering drinks like these will make you seem professional, even outside of the office. Some drinks are simply inappropriate at work happy hour functions. Long Island Iced Teas, for instance, are extremely strong, and it isn’t a smart idea to get drunk in front of your boss. While Irish car bombs and Kamikaze shots make sense at college parties, they’ll make you seem immature and out of control in front of coworkers. Elevate your cocktail selections at work events, and sip them slowly. If you’re looking for a cozy, comfortable place to enjoy drinks with coworkers, family, and friends, make Kitty's Sports Grill your top destination. For over half a century, this sports bar and grill has provided wings, burgers, beer, and cocktails to the Cincinnati, OH, area. Call (513) 421-8900 to ask about daily happy hour specials, and visit them online to learn more about their menu and amenities.